A little less than two weeks ago, the Bloomberg administration proposed a ban on the sale of sugary drinks above 16 oz. in restaurants, delis, and other business establishments. Since then, food industries and super-size aficionados have voiced several concerns. Bloomberg’s plan has been seen as overreaching, ineffective, and a waste of efforts towards public health. 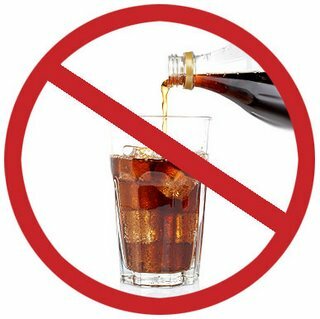 While I agree that the banning of sugary drinks alone will do little to combat the problem of obesity, I also believe that it is a small but necessary step in the right direction. Our country is addicted to sugar. Literally. A 2003 Princeton University study revealed that sugar has addictive effects similar to several dependency-forming drugs. I have been living in New York City for the past 6 years and have experienced first-hand the addictive effects of sugar. While working in a high-stakes charter school, I rarely had time to make or buy my own lunch, so I ate the lunches and snacks served in the school cafeteria—which usually had tons of added sugars. I would also stay at school for late nights lesson planning, where my dinner consisted of teddy grahams and wheat-thins. I kid you not. Needless to say, I had some weight and skin problems. Once I left, I decided to cut out added sugars altogether and the withdrawal effects were insane. I felt depressed, anxious, and had constant cravings—I felt the same way that smokers tell me they feel when they try to quit. If university studies don’t convince you of the addictive qualities of processed sugar, I hope my firsthand experience does! Several studies support the fact that a plant-based-diet that limits itself to no more than one tablespoon of sugar per day can have the effect of reversing heart disease, kidney failure and numerous other diseases. It also has the effect of reducing hospital visits. Former President Bill Clinton himself follows such a plan and has been able to effectively reverse his heart problems after having heart surgery. Imagine the reduction of patients we would see in hospitals if everyone reduced his/her sugar consumption. Imagine the reduction in healthcare costs! But what about free choice? Is Bloomberg forcing us to eat healthy? My answer: No more so than big food is forcing us to develop addictions. The constant influx of advertisements and prevalence of additives and additional sugar in our foods has made it nearly impossible to avoid. Bloomberg’s proposed ban is no more than a small counterbalance to our country’s addictions. Is it enough? Certainly not. But it may be the change of direction that New York City needs.